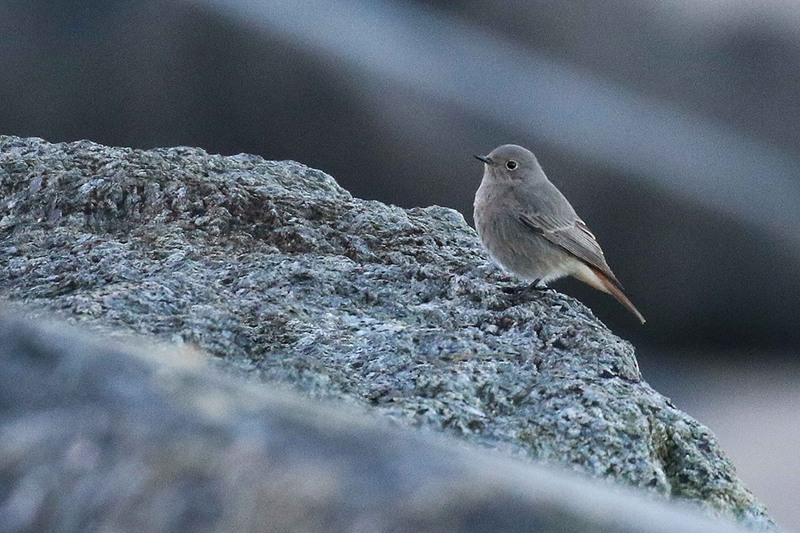 In the Harbour today there were 2 Black-necked Grebes and a Great Northern Diver, and just down the road on the sea defences opposite the Albert Café in North Bay there are now 2 Black Redstarts and a Stonechat. Wildfowl movements today included c30 Pink-footed Geese East over Wykeham South Lake at 09.45 and 110 of the same species south over Long Nab at 13.24. Other wildfowl reports today included 2 Whooper Swans East over McDonalds Seamer; White-fronted Goose, Barnacle Goose and Shoveler at Seamer Tip pool and 35 Mandarin Ducks at Hackness of which 23 were drakes. At Wykeham South Lake there were 2 Peregrines, 3 Goldeneye, 4 Great-crested Grebes and 2 Little Grebes. In Langdale Forest 25 Crossbills were seen at Brecken Howe but there was no sign of the Great Grey Shrike last seen on the 14th. The Open Air Theatre was still hosting a Water Rail and a Kingfisher whilst nearby on Peasholm Park Lake the surprise of the day was a Red-throated Diver.